Yesterday, we were one of the lucky few who got to see 15-20 minutes of new footage from the brand new Ridley Scott movie, Prometheus. What we saw, we were absolutely blown away by and and if you missed our thoughts, have a little look here where Jon has summarised what we saw here. Following the footage, we were honoured by the presence of Sir Ridley Scott (Director) and cast members Chalize Theron, Michael Fassbender and Noomi Rapace which Jon has also summarised in the link above. 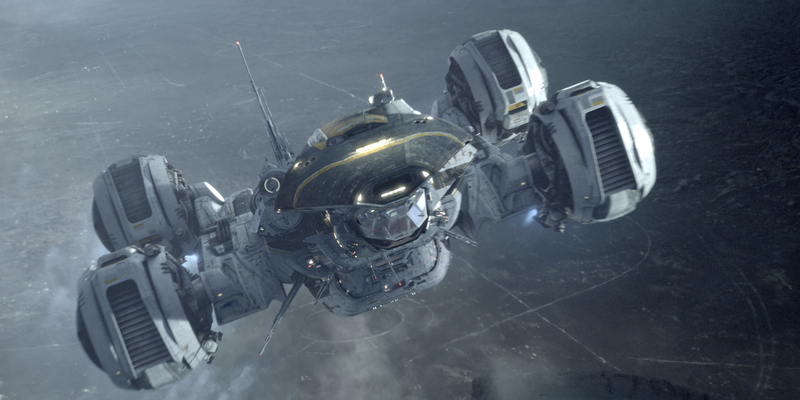 To continue with the Prometheus theme, we have these brand new images from the movie alongside a Prometheus Artefact image, and a cinemagraph of an eye, a hologram and a star-map. The hologram looks like a schematic of the ship Prometheus but the rest is anyone’s guess! Scour them for clues if you dare! Prometheus will be with us 1st June and we cannot wait!! Click the images to enlarge and to see them animated!